As we head towards what is sure to be a dark and desolate winter, I like to treat myself to some extra pampering in the form of new beauty products. I’m especially conscious of skincare at this time of year, and my favorite products right now are the ones that keep my skin fresh, hydrated, and glowing. 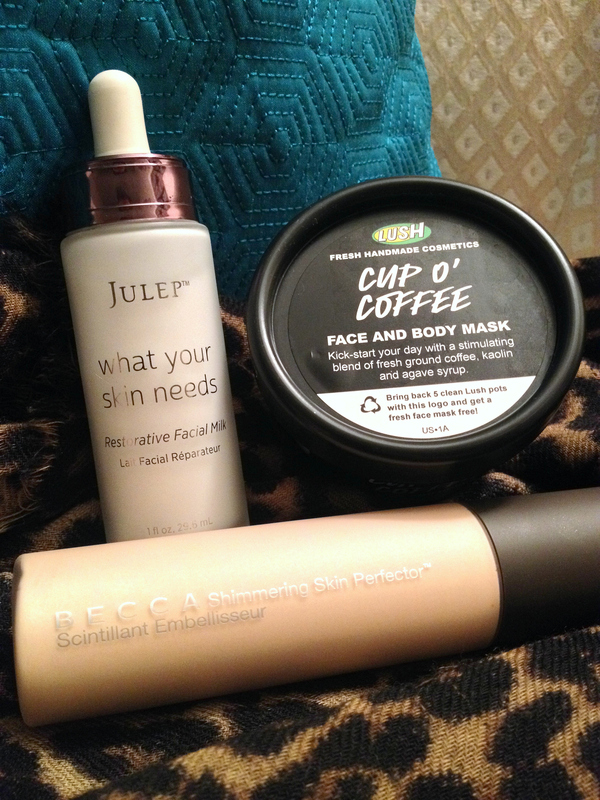 Here are a few of the items I’ve added into my routine this month. 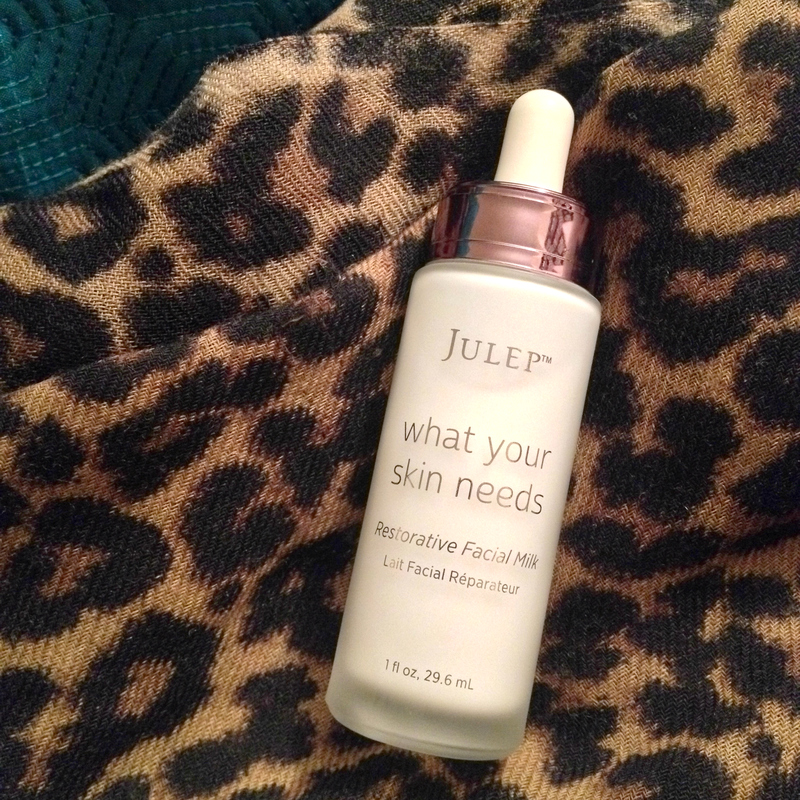 Despite its ridiculous name, Julep’s Restorative Facial Milk is probably my #1 favorite new product right now. This creamy blend of five luscious oils is rich, light, and absorbs astonishingly fast. A great option for anyone who feels reluctant about face oils in general, it leaves absolutely zero residue and feels like nothing is on your face. My skin is on the dry side, so I like to apply it as a serum under my moisturizer before I go to bed. If you ever run out of coffee in the morning, just take a whiff of this stuff. You’ll be fully alert in seconds. Better yet, slather it all over yourself! It’s like getting slapped in the face with caffeine (in a good way, obvi). Sadly, I shower at night, so its invigorating properties are sort of wasted on me – and you really should use this in the shower rather than over the sink, as it makes a huge mess when you rinse it off. 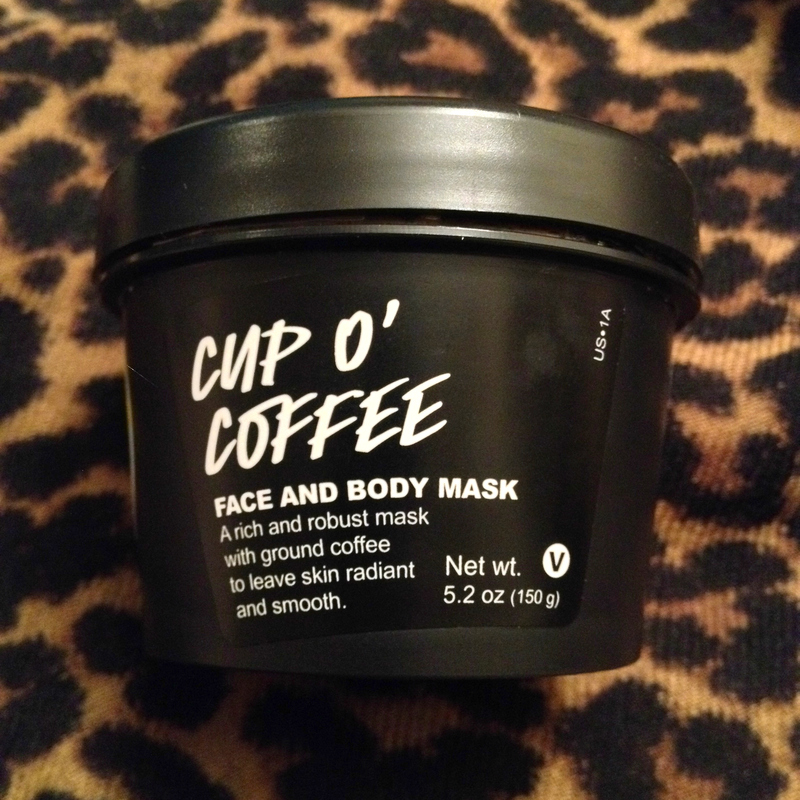 Although Cup O’ Coffee is technically a mask, it makes a fantastic scrub, too – it will leave your skin super soft, smooth, and brighter than before. And unlike many Lush masks, it’s not perishable, so you don’t have to rush to use it all quickly. 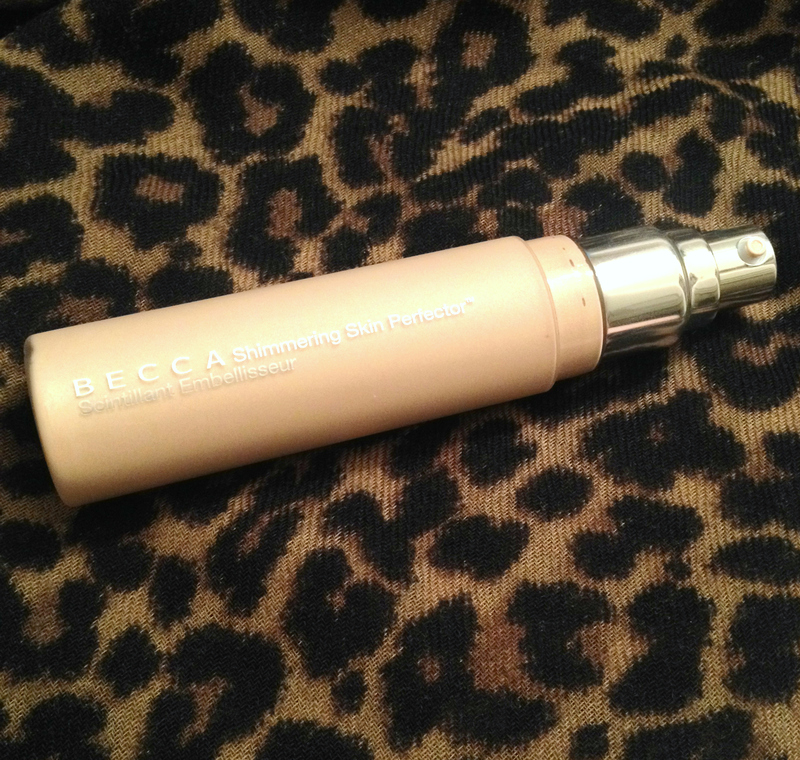 I read a glowing review of Becca Shimmering Skin Perfector awhile ago, and have been dying to get my hands on it – or rather, get it on my face – ever since. It does not disappoint! This is truly one of the most natural-looking, beautiful luminizers I have ever come across. Just a tiny little drop blended across your cheekbones, brow bones, and the bridge of your nose will give you a gorgeous ethereal glow. It comes in several shades, but I love Moonstone, a lovely pale gold. Word to the wise: the pump dispenses way too much product, so you may want to unscrew the top and dab a little bit on your finger. Have you tried any of these? What beauty products are you loving lately? 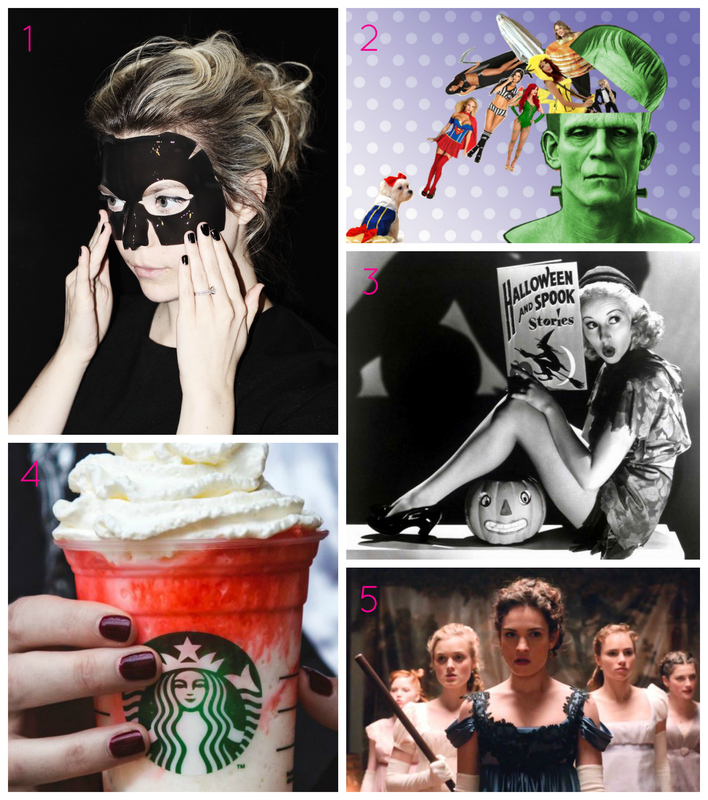 Share your faves in the comments!